FORS has announced its theme for the third annual staging of its FORS Members’ Conference. The theme – ’10-years of evolving best practice’ – will be aptly demonstrated with the launch of version 5 of the FORS Standard. The conference will also include both a celebration and a retrospective of the scheme’s many notable achievements over the last decade, and will be followed by the important business of key-note conference presentations, networking opportunities and a dedicated exhibition. 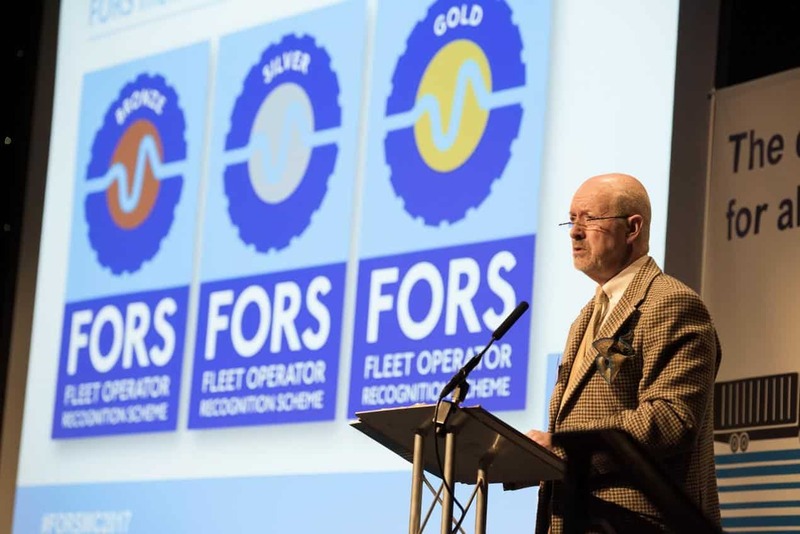 A siginificant part of the conference agenda will be the introduction of version 5 of the FORS Standard; the comprehensive reference source which defines the requirements that members must have in place to achieve FORS Bronze, Silver and Gold accreditation levels. The FORS Standard is regularly reviewed and updated to reflect latest compliance legislation and to keep abreast of current industry initiatives. The review process takes place every two years, and is a key responsibility of the FORS GSAG (Governance & Standards Advisory Group) to provide input and guidance. FORS GSAG is made up of 21 experts drawn from across the transport industry, including contract specifiers, leading operators and industry bodies. The conference – now a key event in the transport industry’s events calendar – will see presentations and lively debate from leading figures representing a wide cross-section of the transport sector including Rob Flello, transport industry consultant and founder of the Parliamentary Freight Transport Group, and Peter Kay, Head of Learning & Development at Tarmac. The conference will be chaired once more by well-known industry commentator, Brian Weatherley. A number of FORS Associates will present their products and services at a dedicated exhibition zone, much of which discounted specifically for FORS members. “We have grown significantly over ten years, where today FORS is the go-to accreditation scheme – a force for good in the transport sector for thousands of truck operators,” said FORS Director, John Hix, “Best practice certainly has evolved over the last decade, and it has delivered us safer roads, more efficient operators and a cleaner environment for everyone.